The deadline for comments on an IRS reporting proposal threatening nonprofit and donor security is December 16 – less than a week away. The new, voluntary reporting method calls on nonprofits to collect, store, and report donors’ Social Security numbers, along with the amount of donations and other information. The proposed regulations would give nonprofits the option of filing a separate new information return with the IRS and individual donors by February 28 every year to substantiate contributions of more than $250 in value. A similar mandatory proposal was considered and rejected in the past based on numerous legal, policy and confidentiality problems it raised. Opens the door to scam artists. The public is consistently warned by state attorneys general (“Never give out personal information, such as your … Social Security number“), the Social Security Administration (“your number is confidential“), and many other experts — including the IRS itself — to provide their Social Security number only when “absolutely necessary.” At minimum, this IRS proposal injects a contrary message that will confuse the public. Even without adoption by any nonprofit, a scammer could call a donor purporting to be with a (receiving) nonprofit and request the donor’s social security number in order to send a form confirming their contribution for use in case of audit. Giving will suffer, which means our communities suffer. Most people are cautious about the information they share online, and rightfully so. To be asked to share their address, their credit card number and their Social Security number all in the same place would be enough to scare even the most committed donor to decline to give. As much as they may want to support good works in their community, it wouldn’t justify taking the risk of their identity being stolen using the ease of online giving. For private foundations, the new regulation could result in replacement pressure, as foundations would be depended on to offset reduced individual donated funds; it would also be a drag on resources as each of their grantees may seek their Taxpayer Identification Numbers (in lieu of Social Security numbers). The IRS is asking for comments on the proposal by December 16. Submit comments at the IRS website — and let your board members, funders and donors know to submit their concerns, too. WHAT ARE THE TALKING POINTS? A charitable nonprofit should never be asking a donor for her or his Social Security number when soliciting donations. If someone is asking in relation to a donation, that should be considered a sign of a scam or fraudulent solicitation. Taxpayers may reduce giving because they are reluctant to provide Social Security numbers to charities given concerns over identity theft. The current contemporaneous written acknowledgement system is working. Just because the proposal is voluntary now is no reason to ignore its potential adverse impacts. Also be sure to include basic information about your organization. As a funder you may also want to mention your concern for your grantees. NO. Comments on regulations are not considered lobbying by the IRS. A University of Tampa study has documented striking cost savings from using a Housing First model to end homelessness in the Tampa Bay region. The study’s results were shared at a recent meeting of Florida Philanthropic Network’s Tampa Bay Funders Forum, which brings together philanthropic organizations from across the Tampa Bay region. A Housing First model centers on providing people experiencing homelessness with permanent, affordable housing as quickly as possible, and offering them the supportive services and connections to the community they need to keep their housing and avoid returning to homelessness. The Housing First model was implemented at a site in Tampa called Cypress Landing, which opened in early 2013 with support from Hillsborough County and Gracepoint Wellness and funding from the federal government. A recent gathering of FPN’s Tampa Bay Funders Forum highlighted collective efforts to end homelessness in Florida, with presenters (L-R) Central Florida Foundation President and CEO Mark Brewer; Tampa Hillsborough Homeless Initiative (THHI) Board Member Mark Merrill; FPN President and CEO David Biemesderfer; Clark Family Fund President Joe Clark; and THHI Board Member Guy King III. A newly released study of Cypress Landing, conducted by researchers at the University of Tampa, documented an overall cost savings to the public of nearly $500,000 over an 18-month period, due to dramatic reductions — by 77% or more — in outpatient and inpatient services, emergency room visits, detox services and incarceration among Cypress Landing residents. The study also documented an overall increase in quality of life reported by these residents, who spoke of having a renewed sense of meaning and purpose in their lives. The study’s results were presented to the Tampa Bay Funders Forum by Guy King III and Mike Merrill, board members for the Tampa Hillsborough Homeless Initiative (THHI). Philanthropic organizations in Florida care deeply about our state’s education outcomes. They know that a quality education can improve Floridians’ lives in vital ways, and greatly enhance the overall well-being of our communities. In an op-ed he wrote last week for The New York Times (Who Will Watch the Charities? ), David Callahan claimed that the charitable sector is like the “Wild West” when it comes to oversight. After reading Callahan’s piece, you could not be faulted for walking away thinking that little is being done to regulate the sector and punish wrongdoing. The reality, however, is something quite different. 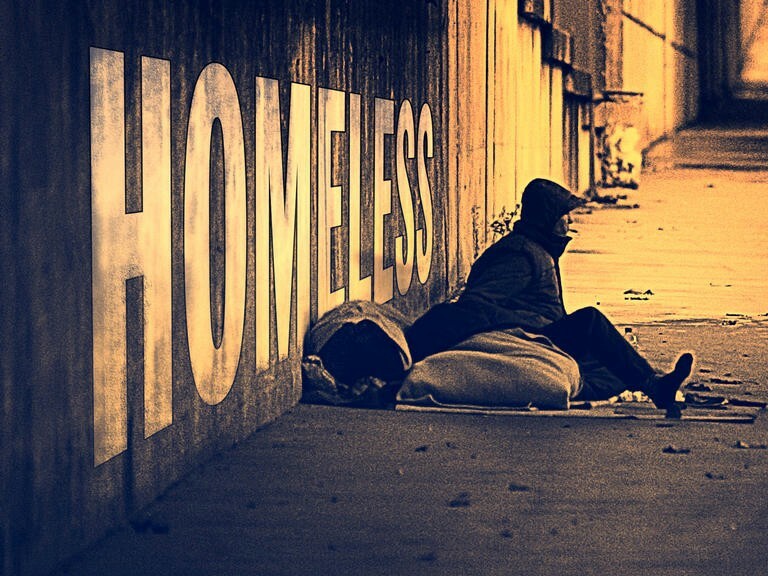 On a single day and night in January 2014, Florida communities counted more than 41,000 people who were living on the street or in an emergency shelter, according to a recent report by Florida’s Council on Homelessness, while Florida’s public schools recently identified more than 70,000 students as homeless. A growing number of philanthropic organizations in Florida are working to tackle this serious societal issue, and they have now come together through Florida Philanthropic Network (FPN) to tackle the state’s homelessness problem in a unique state-national partnership. To continue FPN’s efforts to build philanthropy to build a better Florida, we are pleased to announce the launch of a new member affinity group, Funders Together Florida, which is a partnership between FPN and Funders Together to End Homelessness (FTEH), a national network of funders focused on homelessness. Funders Together Florida will be FTEH’s first statewide affiliate.